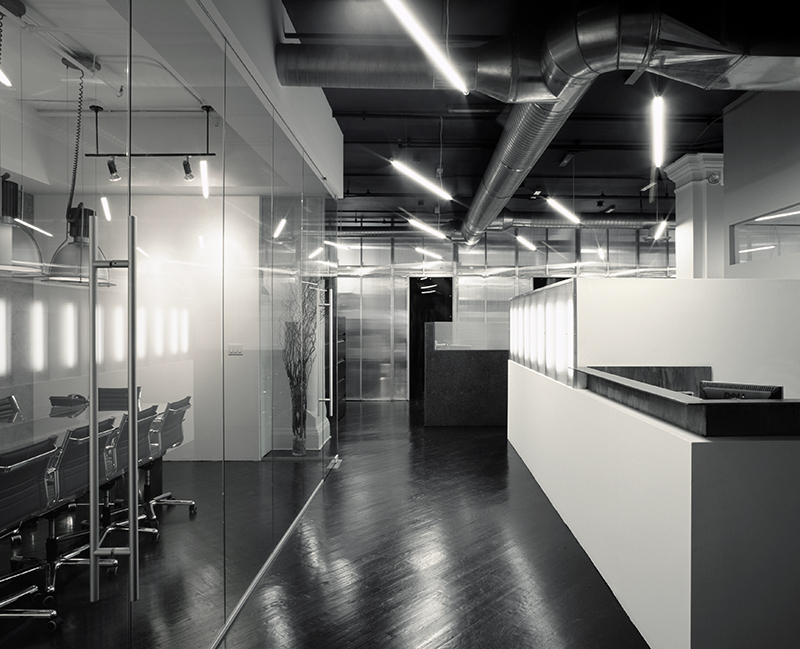 The pro­gram for this office design included pri­vate offices, work­sta­tions, a con­fer­ence room and a doc­u­ment filing area. The seri­ality of objects and their mate­rial affects was the overiding theme. Sus­pended flu­o­res­cent fix­tures, aligned at an angle to the plan geom­etry, float in this dark void pro­viding illu­mi­na­tion. Flu­o­res­cent strips also sit behind a poly­car­bonate wall near the recep­tion desk. 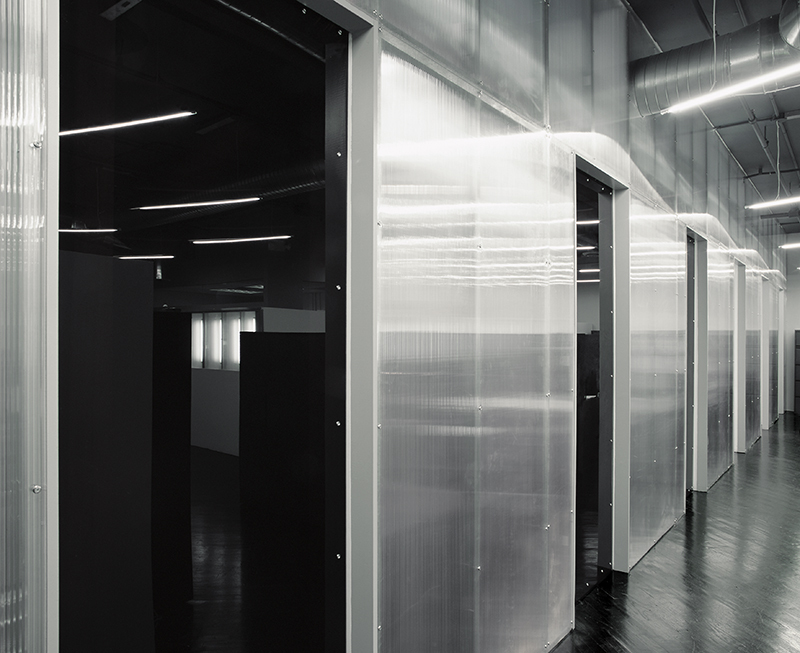 The office walls are clad with poly­car­bonate sheets on metal framing. Sliding doors with gray acrylic allow faint views into the rooms. 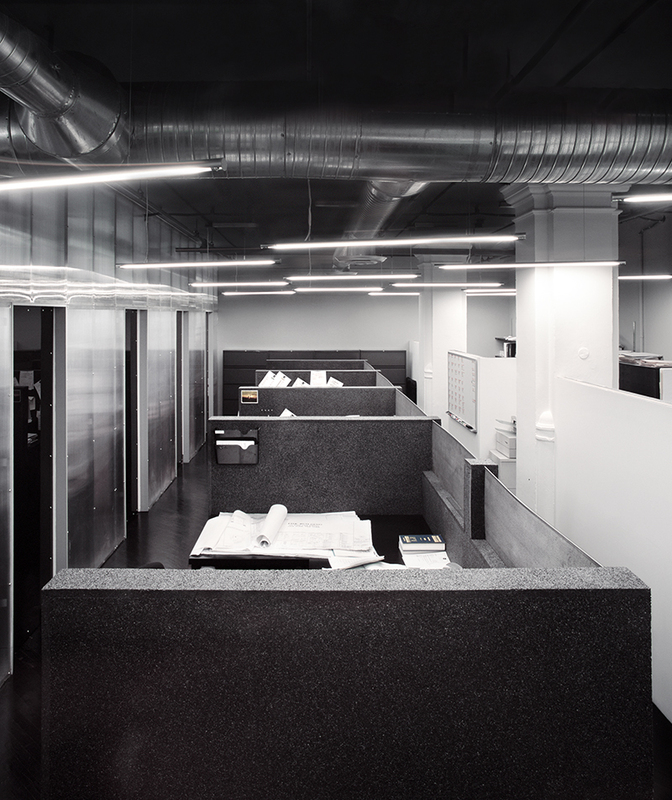 Within the cen­tral area, work­sta­tions are wrapped in recy­cled polypropy­lene panels, an acoustic and tack­able sur­face. These work­sta­tions form a “block-like“ volume, hiding tabletop clutter. 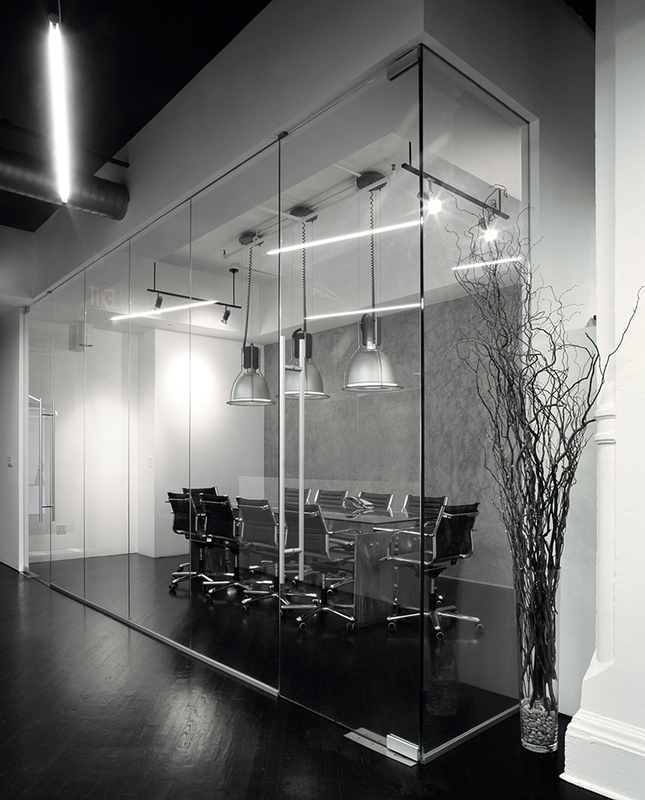 The con­fer­ence room was treated as a glass case high­lighting the owners glass/metal table. 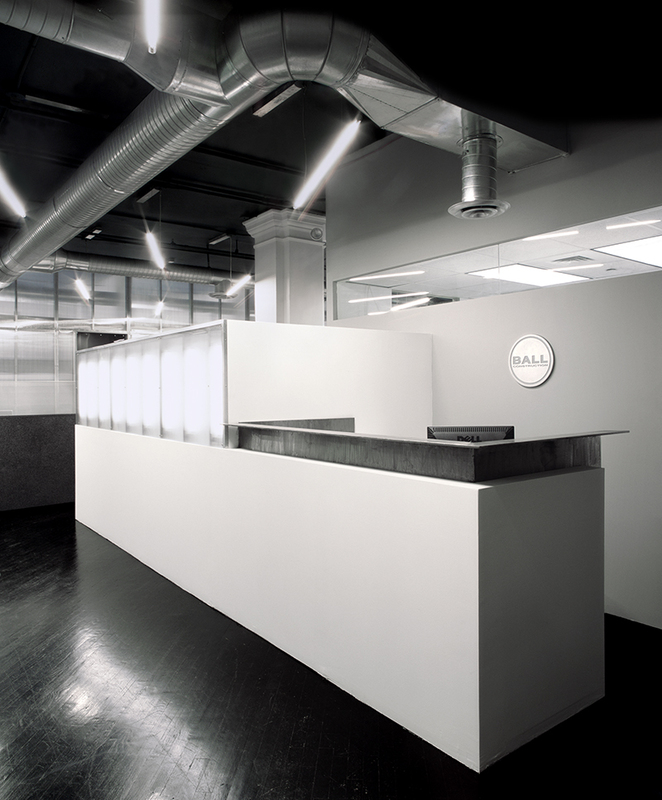 Sim­ilar met­al­work forms the recep­tion desk, which wraps over, along and inside a low wall.